The fashion industry’s spring/summer campaigns just keep coming, and as always, the best are almost always released last. 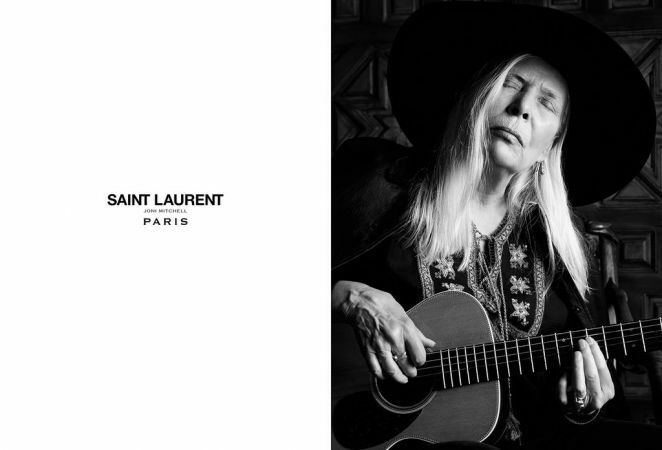 After Joan Didion fronted Celine’s most recent campaign, we were unsure that there could be anything as good until Hedi Slimane unveiled veteran singer/song writer and all round incredible women: Joni Mitchell. 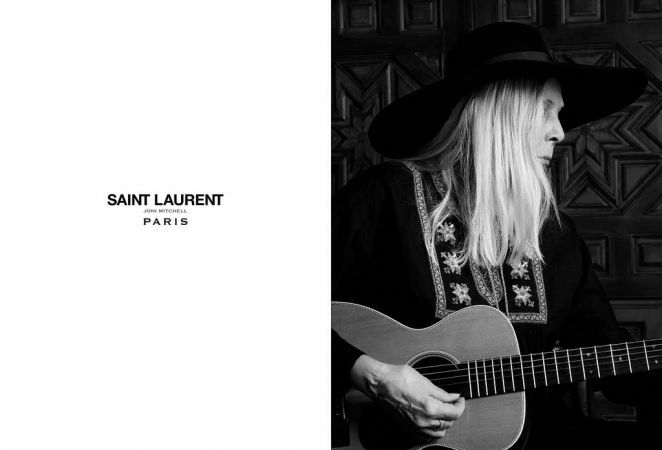 Saint Laurent’s 1970s tone for spring falls directly in line with the West Coast musical icon, especially with her having defined the era in music and having directly influenced that generation. Donning long blunt locks and a wide brimmed hat, shot in her California home, Joni looks impeccable. She has us revisiting our old records and musing over her undeniable cool.